I've used these stencils before and I posted pictures of the t-shirts I've made with them. But somehow I was not quite satisfied. 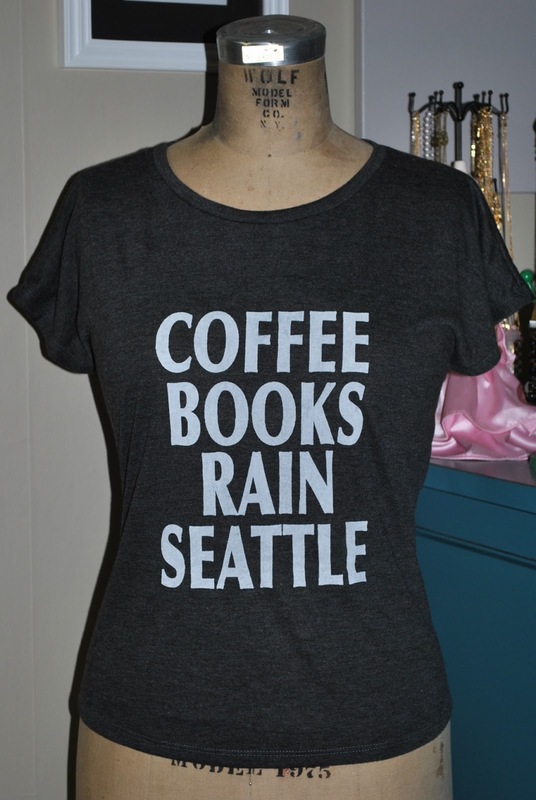 But now I am :) I wore the Coffee Books Rain Seattle one today and I got a HUGE number of compliments. 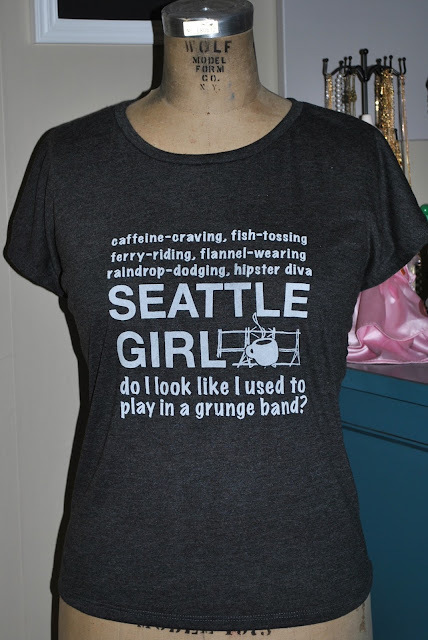 Such a great feeling!